Awaken your intuition! Focus is what is running away from us. Unknowingly we are driving away mindfulness by the excessive use of technology. For progress, for work, for creativity, focus is very important. In any job, any professional field, getting clarity and focus is very important. The most important chakras that affect clarity and focus are the third eye, crown and root chakra. While we have known since ages that the Third eye chakra, the blue chakra is related to intuition. I have with extensive Reiki reading and healing also found that the solar plexus is connected. And also the root chakra. Healing single chakra will not show you results. Chakras need to be balanced and in harmony. Mantra Symbols that activate the third eye chakra is "aum" the solar plexus is activated with the mantra "rum" and the root chakra has its mantra "lum"
Visualizing and chanting these mantras helps in chakra activation. 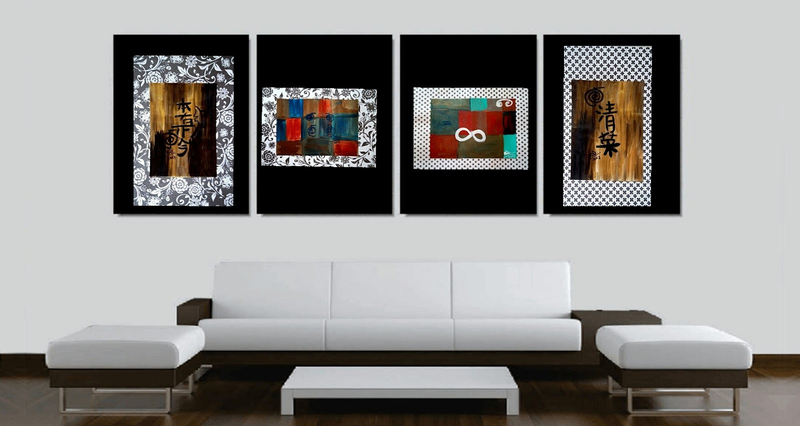 Wall art is a great way to get clarity and mindfulness with meditation healing art. Getting clarity, focus on life goals and task at hand , did you try this? what experiences did you get? did it help you gain intuitive quality? do share! Like ,share comment for the love of symbolism! If you would like advice on Reiki, chakra activation, Kundalini, symbols art, feng shuii tips do email me, I would be really happy to help! all emails are answered free, they have been since past many years and will be continued free! The happy emails of success are what makes this worth for me!It is between me and the Universe!